In-N-Out finally made it to Medford, Oregon, last month, but that’s still a seven-hour drive from Seattle, and it doesn’t look like the revered California burger chain is coming closer anytime soon. But as of yesterday’s grand opening, we’ve got the first CaliBurger in North America. The In-N-Out imitator — a 2012 lawsuit on that matter was settled out of court — started out in Asia, exploiting the market for all things American there. Now CaliBurger’s on the Ave in Seattle’s U-District, and it’s moving fast, with outlets coming soon to Columbia, Maryland; Toronto; and Vancouver, BC (and doubtless more to follow). After sampling the upstart’s output, I’m happy to report that local fans of the Double-Double have at least five reasons to be pleased. 1. CaliBurger’s burger is better than In-N-Out’s. If bigger is better — and this is America, so it is — CaliBurger’s patty bests In-N-Out’s, weighing in at 2.67 ounces versus just 2. The bun and toppings taste pretty much exactly like the original, with a slightly larger quantity of lettuce and tomato to go with the extra ground chuck shoulder. 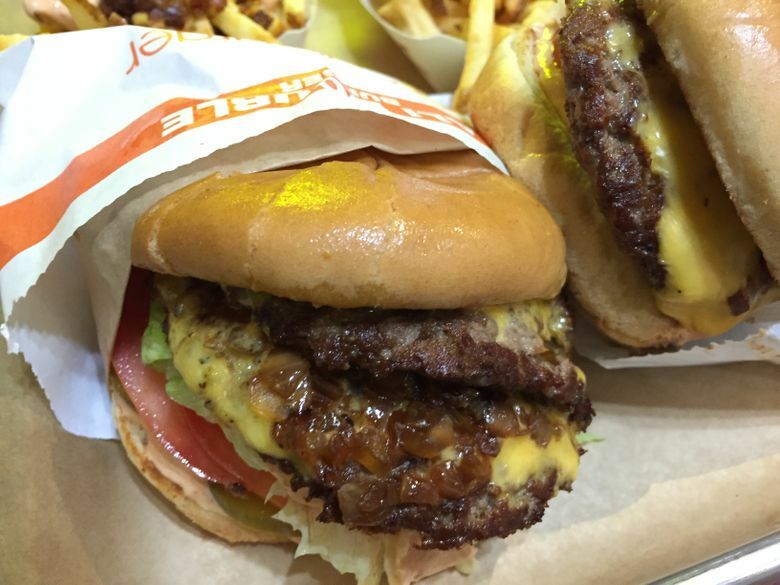 And never fear: CaliBurger has a secret menu, too (to get it In-N-Out animal-style, ask for “Cali-style”). 3. CaliBurger has boozy milkshakes. In-N-Out does not. Just $2 extra gets you a shot of Evan Williams bourbon in your scooped-to-order milkshake. Both vanilla and chocolate respond very nicely to this addition (maybe not strawberry). 4. CaliBurger has Full Tilt ice cream and Rachel’s Ginger Beer. In-N-Out does not. 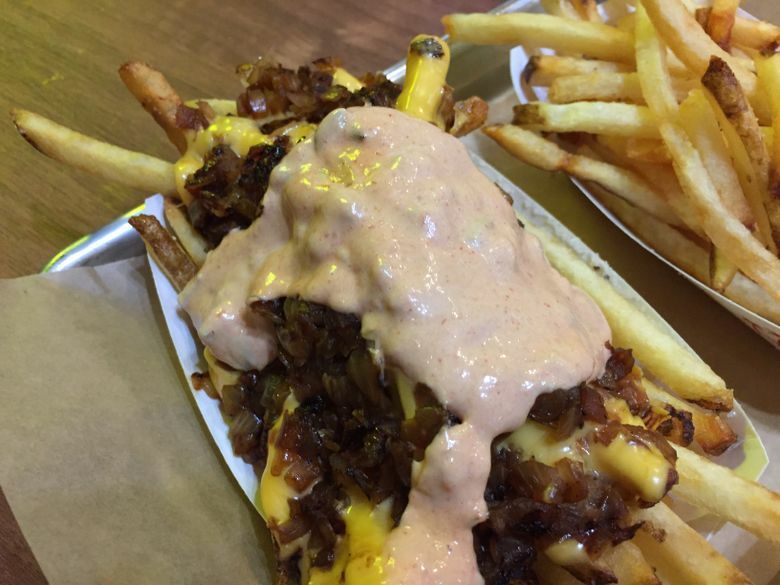 The local CaliBurger franchise owner and the company agreed that these area-made favorites were the way to go here in Seattle. Also, there’s now-corporate-owned-but-still-better-than-most Stumptown Coffee. 5. CaliBurger is high-tech. In-N-Out is not. At CaliBurger, if the line is long, you can opt to use an ordering station by the front door; you can charge your phone at the tables; and you can play Minecraft on a huge screen with other CaliBurger patrons. This you cannot do at In-N-Out. A CaliDouble burger will set you back $4.99; Cali-style fries, $3.75; regular fries, $1.99; milkshake, $2.99 ($4.99 with a shot of Evan Williams). CaliBurger Seattle is at 4509 University Way N.E.